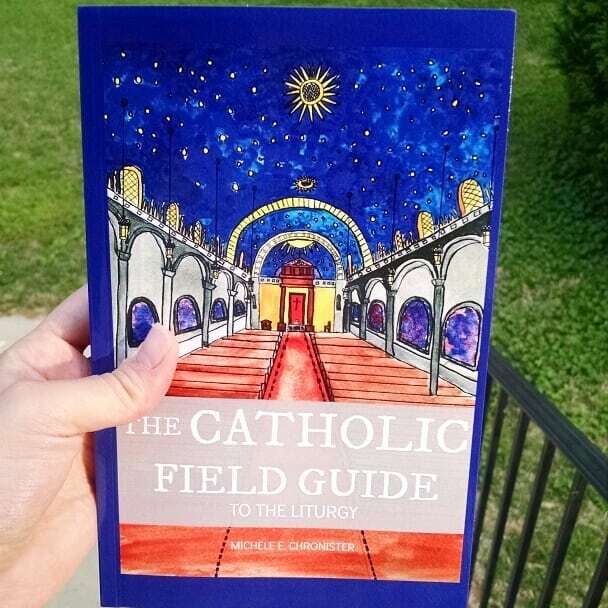 My Domestic Monastery: The Catholic Field Guide is HERE!!!!!! The Catholic Field Guide is HERE!!!!!! IT'S HERE!!!! 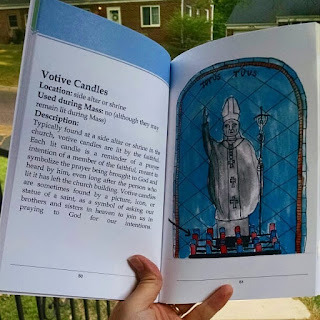 This book has been in the works for over a year...and it's finally here!! This project just kept growing and growing and growing, but I'm so happy with how it turned out! 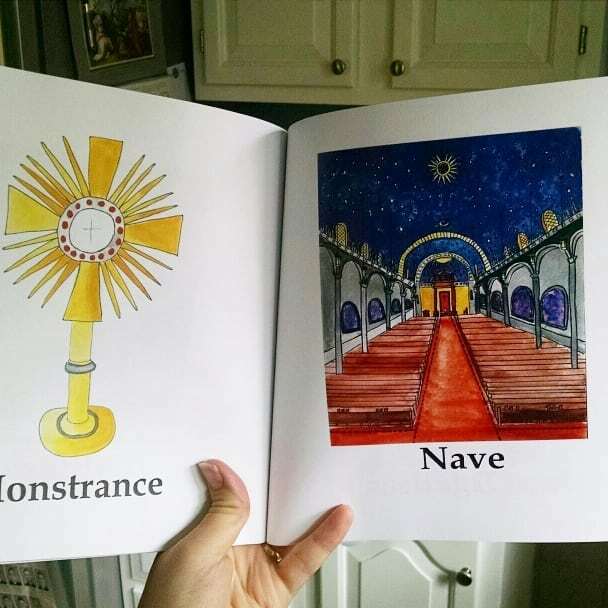 It started out just being a Catholic dictionary picture book, but then it evolved into a resource that isn't just for kids...adults will love this, too! 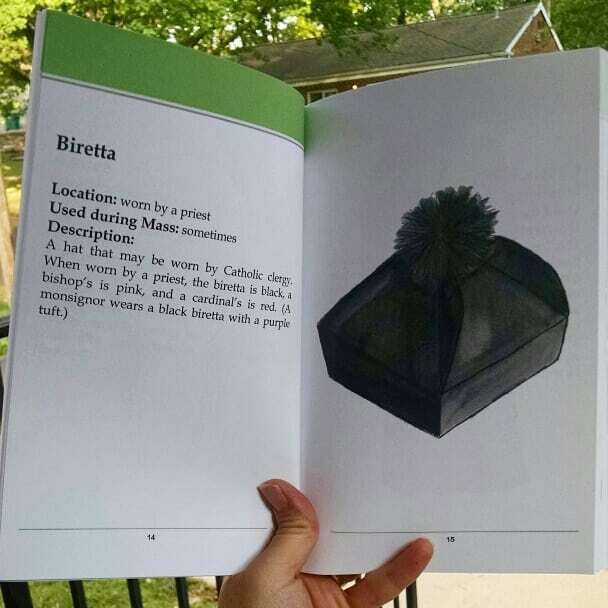 It's modeled on a nature field guide, divided into sections and categories and with detailed pictures and descriptions. 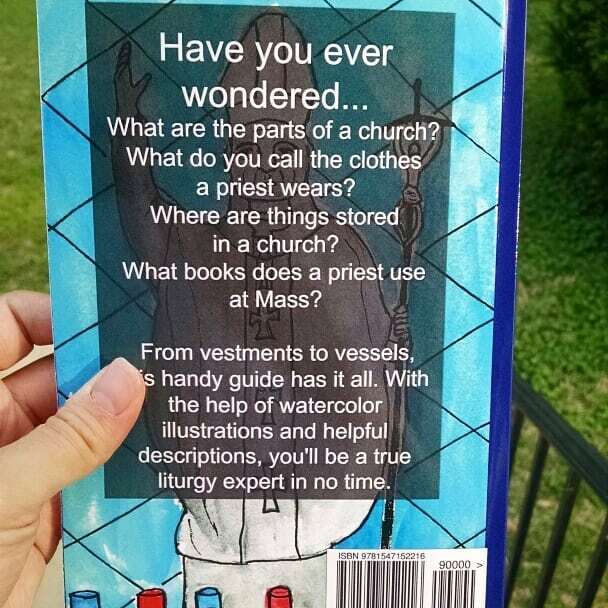 Guys, I have a Master's degree in Theology and I LEARNED SO MUCH writing this book! Of course, as it turned into a more sophisticated book, I realized it really wouldn't work well for little kids. 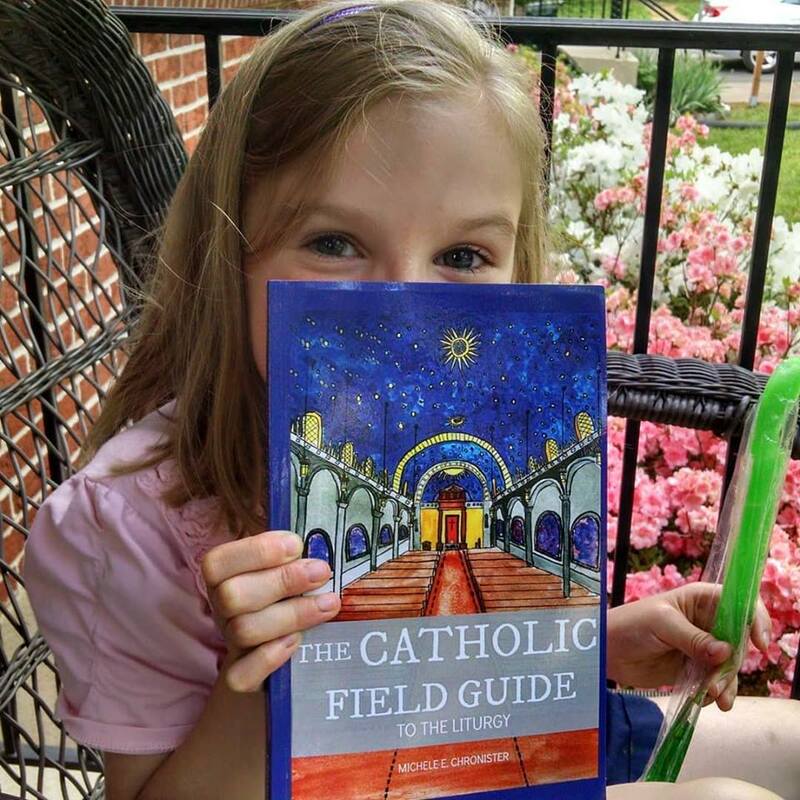 My oldest daughter (who is seven and a half years old) is a fluent reader and adores this new book. My four year old likes looking at the pictures but I knew she needed her own version. 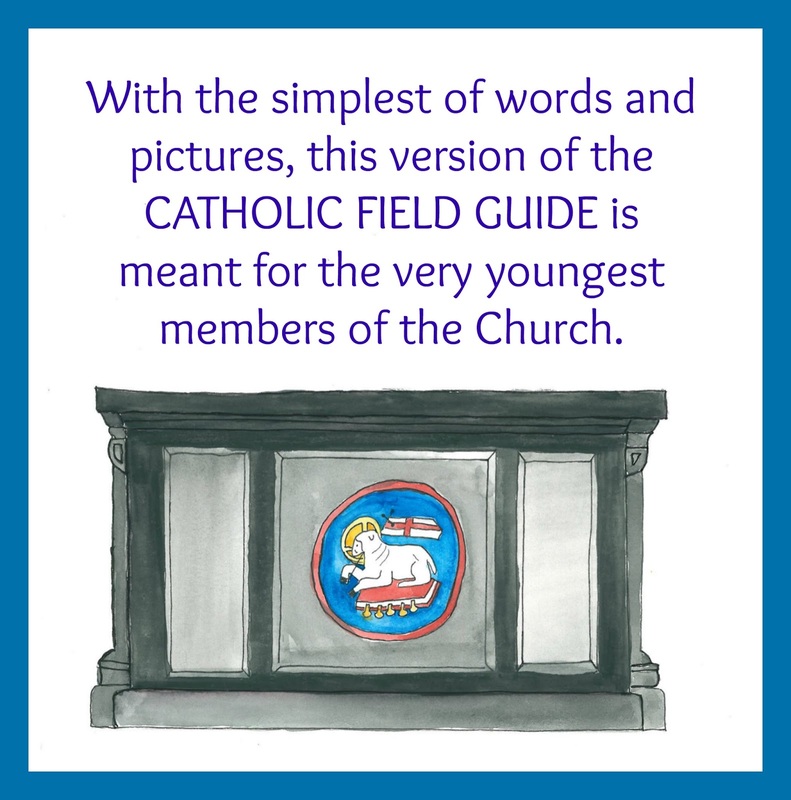 If you keep scrolling to the end, I'll show you the little kid version of the Catholic Field Guide. Would you like a closer look??? Isn't it just lovely?? 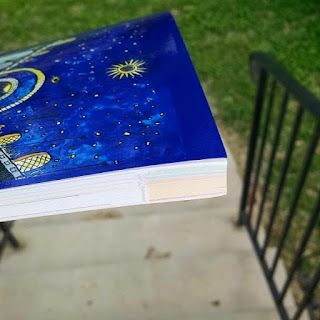 I'm so happy with how the cover design turned out. It's also thicker than I originally planned. There is a LOT of great content in this book! Here's my favorite part! I didn't just want this to be a picture dictionary. 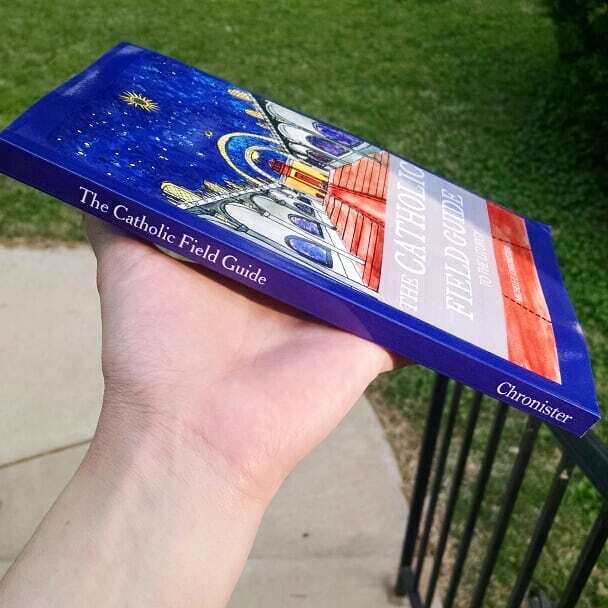 I wanted it to be a field guide. 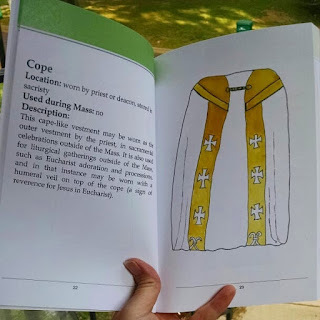 I wanted readers to be able to see something at Mass and easily look it up. I wanted it to be visually appealing, and to have that beautiful color coding you see on the sides of nature field guides. Just look at this lovely edging! Each color represents a different category in this book. If you keep scrolling, you'll see what I mean. Let's take a peek inside, shall we? 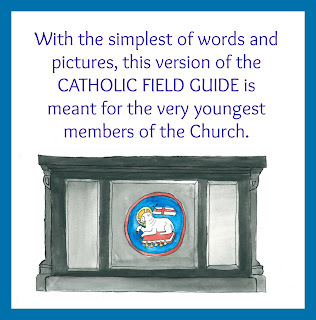 Like in a nature field guide, The Catholic Field Guide includes a map and a clear guide to the contents. 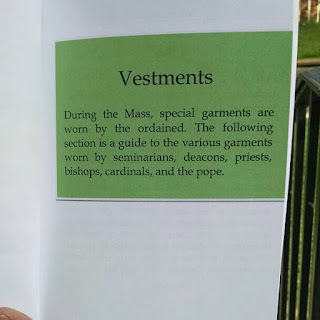 Each section starts with the color coding for that section, and a brief description. Each page has a color coded header, too. But what if you know exactly what you want to look up are aren't sure which section it's in? 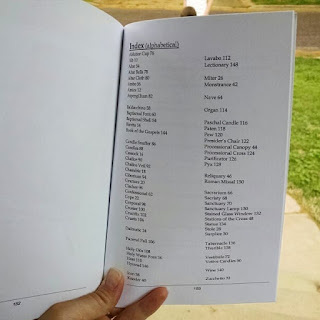 Flip to the back and look at the index! 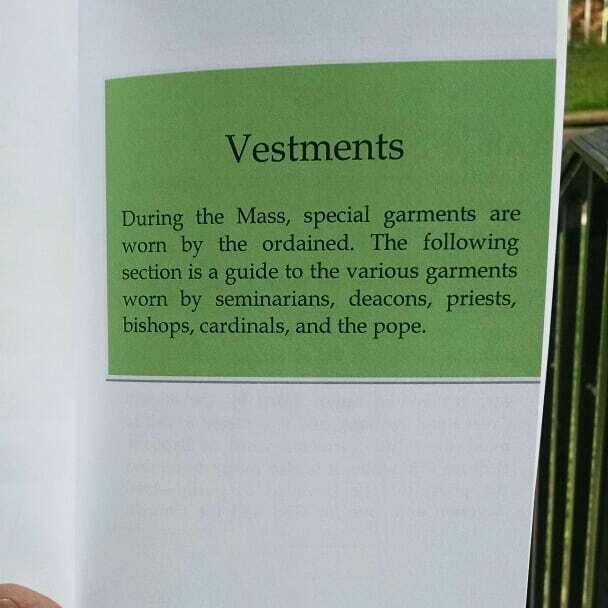 If you look at this page, you can get a sneak peak at the complete contents. 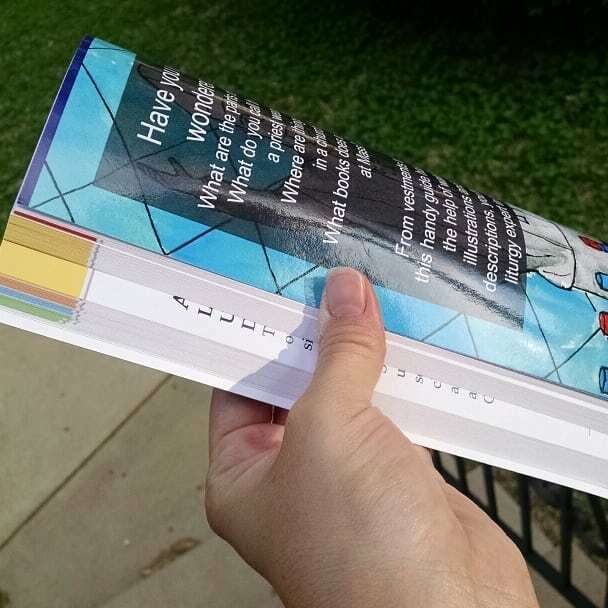 Look at how much information is covered!!! When I am thinking through book projects, I try to use resources that I actually want to use in my own home. This is a resource that I can see being used by a classroom teacher, a homeschool teacher, a catechist, or a parent. My hope is that it won't just be used by kids. It's definitely not intended "just for kids." 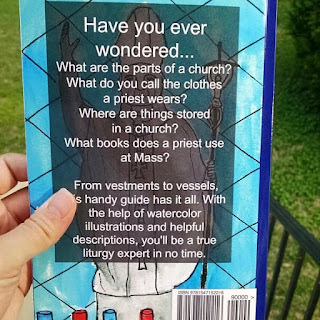 If you ever wanted to learn more about the things you see in your church, this is a great resource. Adults will enjoy this one, too!!! 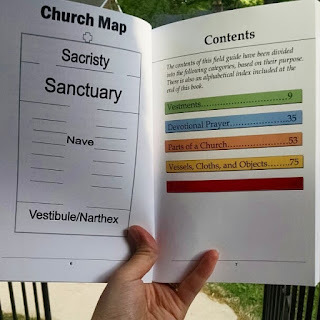 I can also see this being a great resource for high school students and youth ministers. 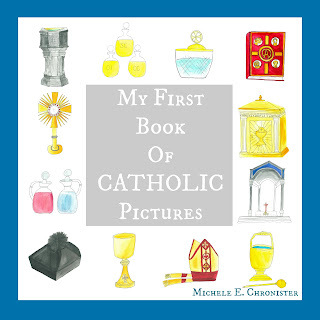 It could be a First Communion gift OR a Confirmation gift! And what about those little kids in your life? There's a version for them, too! This book has the same pictures as The Catholic Field Guide, but look at how much simpler the content is? It's perfect for little hands, and I'm looking forward to reading it with my two youngest daughters. 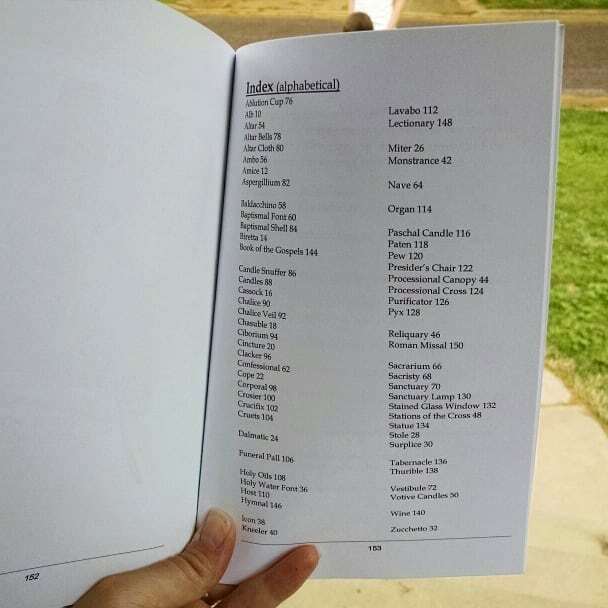 Ready to get your own copy? ?